It's not the calories you eat — it's the calories you don't burn off that increase cancer risk, studies of mice suggest. It's now well known that a restricted-calorie diet cuts the risk of getting cancer and slows the growth of some cancers. 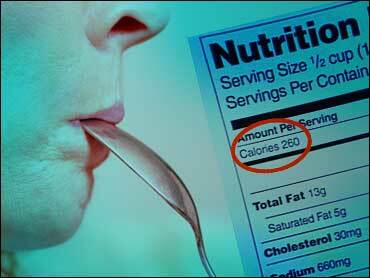 Most researchers think this is directly related to calorie intake. But not Tim Nagy, Ph.D., professor of nutrition sciences at the University of Alabama, Birmingham. When you eat more calories than you burn off, you store the extra calories as fat. Nagy wondered whether it's these extra fat cells, rather than the extra calories themselves, that affect cancer risk. To test this idea, Nagy's research team devised a clever experiment with mice genetically engineered to get prostate cancer. They fed two groups of mice exactly the same number of calories. But one group of mice lived in cages warmed to a balmy 80.6 degrees Fahrenheit. The other group's cages were kept at 71.6 degrees. Mice in the cooler cages burned more calories to keep warm. After three weeks, they weighed less than the warmer mice. And they were less likely to have prostate cancer. In a second experiment, both groups of mice were allowed to eat all they liked. The mice in the cooler cages ate about 30 percent more than the warmer mice. They wound up as fat as the warm mice. And they got prostate cancer at about the same rate — despite their extra calories. "This study suggests that ... being lean as opposed to being obese has a greater protective effect against cancer," Nagy says in a news release. "Excess calorie retention, rather than consumption, confers cancer risk." Fat cells, Nagy and colleagues note, aren't just storage cells that hold extra energy. These cells emit many kinds of chemical signals that have profound effects on the body. One of these signals is called leptin. Leptin promotes some cancers. The heavier mice in the Nagy study had higher leptin levels than the cooler, leaner mice. Another signal is adiponectin, which seems to protect from cancer. The fat cells of obese people don't give off as much adiponectin as fat cells of lean people. The heavier mice in the Nagy study had lower adiponectin levels than the cooler, leaner mice. It's not a good idea for people to chill themselves in order to avoid cancer. But maybe, Nagy and colleagues suggest, people could get the same effect by exercising more. That, too, burns calories. "From a public health standpoint, it would be interesting to determine if a similar benefit [as that seen in the cooler mice] could be achieved with exercise," Nagy and colleagues suggest. The study appears in the Jan. 1 issue of the journal Cancer Research. SOURCES: Huffman, D. Cancer Research, Jan. 1, 2007; vol 67: pp. 1-8. News release, University of Alabama, Birmingham.